There was a god competition going on, when Buck Masters wanted his dog to win, so he used a story of Indians and Geronimo to scare off everyone while his men would "dognap" all other dogs that are in the competition and have chances of winning! Amanda smythe used to go to university at Crystal Cove, but when she was taking the crown for prom queen, she was embarrassed, and now she came back (not matter she's beautiful now) and she's using a love spell (that professor Pericles sent her) to make everyone love each other and love her, as they give her the crown. 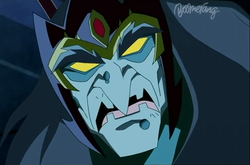 The author of the book "Char Gat Gothakon: The Beast That Has No Name" is getting a bad audience reactions, so a fan of his disguises as the monster from the book scaring off everything to make his idol more popular in the city and far! 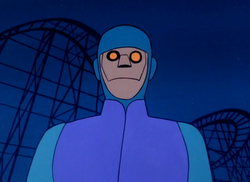 When Mr. Jenkins invented a robot named Charlie with an idea to do more, so they can run his Funland park, his wife didn't like the idea, thinking kids won't enjoy it and it's not really safe, so to prove that, she toke control over the robot, but everything turned out right and Charlie The Robot is the first "monster" to turn "good" at the end! 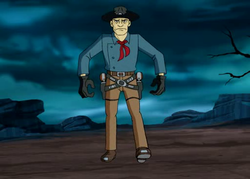 Sheriff Lawman used to be the program class nerd that everyone picked on, but now he's found a way to make a full cyber town where he could be the hero! Too bad the bad guys of the town go out of control, when Gibby Norton is meddling! 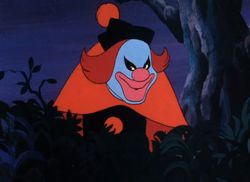 A Crybaby Clown is terrorizing the town Crystal Cove like never before since the Mystery Inc. is fallen apart. When he gets everyone together he asks for 5 million dollars, so that must be his goal! But actually that's just a fake goal, because behind the mask is a the Dusk starring-movie star and boyfriend of Daphne, Baylor Hotner, who wanted to kidnap a cast that will help him make the movie that will get him an oscar, according to him! Over 30 years ago, four kids including Horbert Feist and Bronson Stone created the Dreamweaver for their role-playing game, at the end Horbert lost and with it his figure, the thing he wanted the most. 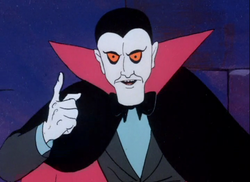 So now, after 30 years, he uses a dream-machine to get into the other three's minds and make them suffer and loose the things they want the most! But at the end, the gang used his machine against him to confess he's behind it all! Ernesto is a friend of Daphne's, that she met when she attended college, now, just like back then, he and his group of activist need money to protest against environmental nature disasters, so they pretend as Fish Freaks to scare off everyone digging into their business from which they will make money enough to protest! Bib Bob Oakley is a master when it comes to acting, as he disguised as a Gypsy, a werewolf, a vampire and Frankenstein's monster just to scare off visitors from an old castle that held a big treasure. At first, we would warn visitors to skip the castle from their tour, but the gang wouldn't miss an opportunity like that! 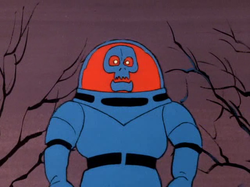 Fred's favorite adventurer, Dr. Rick Spartan is followed by the curse of the Headless Horror, asking him to quit from being an adventurer or he will suffer for the rest of his life. It turns out to be his wife making up this legend so she can make her husband quit and they can live a normal life without being in danger every time! 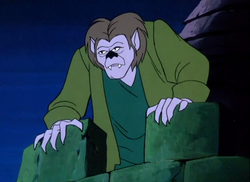 Fredrick is a monkey that pretended to be the Hodag of Horror so it could get a 500 euros worth cheese for his owner as it was trained to rob when it hears bells, even it started stealing bells also, and that's how it stole Nova, Scooby's girlfriend-puppy. 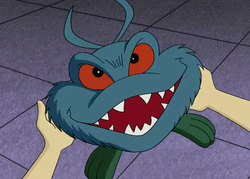 Fredrick also had a mask as he pretended to be Roberto, a small boy working in the cheese store, but at the end it got caught by the gang and was sent to police with its owner! 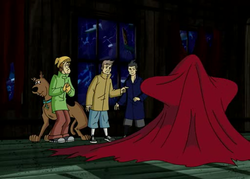 While in the reality, the gang are missing the Mystery Solving Club State Finals, because Scooby is sick, he's dreaming of him and others sidekicks loosing the rest of the gangs as they must save them and defeat the Lord Infernicus, who turns out to be one of them, who isn't even a Phantom. All characters in his dream, Scooby has known from real life, such as his toys! 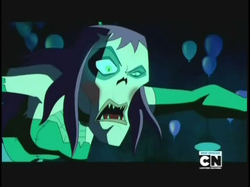 Hot Dog Water is an enemy of Velma from school and the daughter of the owner of "Creepy Spooky Terror Land" the Crystal Cove's park. Now she goes as a Manticore scaring the visitors so her father can close the park and she can sell the steal and make fortune out of it! Hank stayed into the only hotel in a "lonely" city near a mine, it was told that there is gold in the old mine, but no one was able to find it, so the city's business started going down and everyone started leaving, but Hank masked him self as Miner 49er to scare off everyone while searching for the gold, but there was no gold, it was actually black gold - oil! 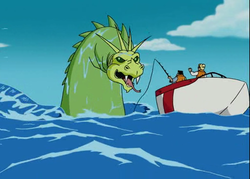 The gang meet a sea monster named Motoshandu that is attacking the coast of an island. 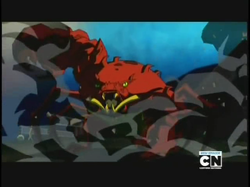 It turns out that this sea monster is just a sub-marine controlled by Crunchy, or should we say Charles Granville to scare off people so he could save sea turtles (because their species are in danger)! 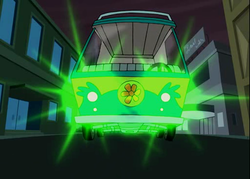 When Shaggy and Scooby are having a dinner with the actor Vincent Van Ghoul, they are attacked by some creatures from his movies, all of them turn out to be fakes for his reality show, all except one! 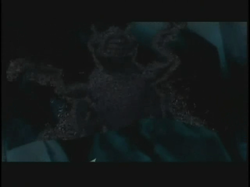 This creature Nightfright is trying to kill Vincent, but actually the man behind its mask wants Vincent to say yes to the movie the man behind the mask, Arcus, wrote, which features Nightfright, but some time ago it was turned down! Alice May, who once pretended as a ghost girl just to bring the gang to few clues Mr. E asked her to bring them to, now pretends as a hi-tech assassin girl named Obliteratrix so she could pretend like she wants to kill the gang, so the professor Pericles could come to the rescue and leave his piece of the planispharic disk vonrable to E! 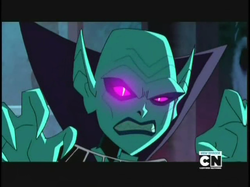 When the gang visit the old, scary and spooky Vazguez Castle on a small and "haunted" island, they get a mystery around the Phantom of Vazguez Castle, believed to be the ghost of the late Spanish pirate that hid a treasure on this island centuries ago. Now, a magician called Bluestone The Great, using his tricks, pretended as the phantom to scare visitors off the island and find the treasure that may not even exist! 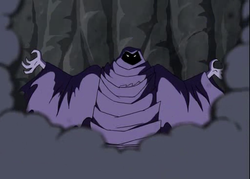 The prince Al-Famir used underground water pipes to bring all the water from Nile to his town where his business is, leaving all other towns dry, so he can become rich with his wife, and if someone gets close around his job, using his hypnotism was making Melbourne O'Reilly pretend as the pharaoh Scamses The 15th and some men as zombies to scare off all the others! 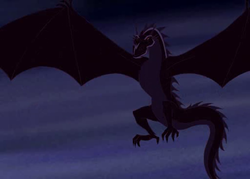 An ancient monster plays a song every night and all kids in Crystal Cove become her warriors. 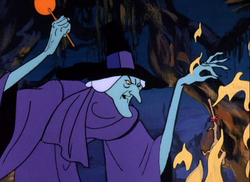 But it turns out it's just a little inelegant girl named Mary-Ann that wanted to take over the town as she would give all kids lots of candies (even at first she offered freedom, peace, power, but they wanted candy more) and the kids would put on masks and scare away their parents. When the TV went on all the kids went to watch and the act ended, as she was caught, and instead of running for mayor or president, she'll have to sit behind bars or wherever they take her! The gang go to Australia relaxing in the sun on the beach when a Coral Creature attacks. 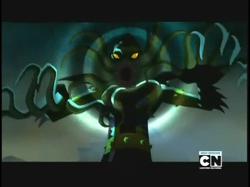 It turns out the Coral Creature isn't the villain, but Spencer Johnson, pretending as Rama Yam, who hypnotists everyone to work for him under the beach at a dig of his own! 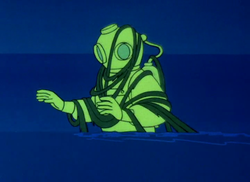 Gibby Norton appears for the third time in Velma and the gang's mystery as he still likes Velma and wants to impress her, this time building his own land with cyber, but he can't do it on his own so he goes to the one that's already made up and it's functional! 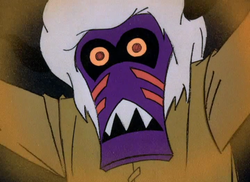 Unfortunately he makes all robot bandits go out of control and make a mess! The Scarecrow Robots were controlled by Mercy on Halloween night as they helped her destroy the corn fields in her town and make everyone believe the legend of the return of Hank Benning! At the end she got caught and the robots were easily turned off or destroyed with water! An Orc Bikers Gang is running around Crystal Cove, while one of them is stealing weapons from Crystal Cove Armory! It turns out to be another nerd, or should we say, the copy boy Maxwell that is jealous on the rest of the bikers, which are the nerds and creators of the game Swordfish, that he wants to destroy and gain a career of his own! Professor Pericles, the criminal-mastermind parrot, gives a visit to his old friend, or shall we say enemy, as a Shadowy Figure trying to find and take the mayor's piece off the planashparic disk, which once was his. 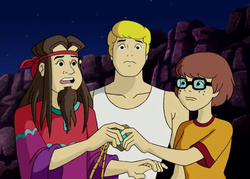 At the end, Pericles gets the golden piece and reveals the truth to the Mystery Incorporated about Fred's father, who refuses to believe! 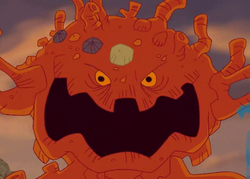 Goal: Make Dr. Akira believe the story of the "ancient one"
After Velma wins a contest for best invention, the gang travels to Tokyo, where they visit a laboratory, that is being threaten by the "ancient one" for being on their territory when Shaggy eats one of his cursed pizzas and every night he becomes a Godzila-alike monster, it's the professor Pomfrit who was jealous of Dr. Akira Onodora, who had the land that the "ancient one" wanted, so he wanted to frame him with the help of Velma's robot! 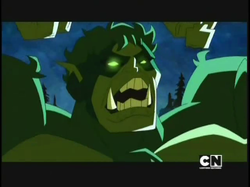 While visiting Daphne's uncle, who was also the director of a new movie, an Apeman attacked the movie production on set, instead of coming Carl with his mask as the stuntman. 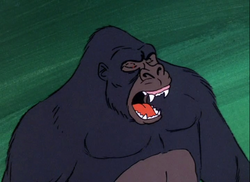 At the end, it turned out that Carl was still the Apeman, but this time trying to be a real one, and not just for the movie, so he could destroy it because he didn't get a bigger role! 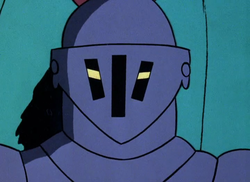 Professor and a friend of the gang is kidnapped by a living knight called The Black Knight, as Scooby and friends go back to the museum and look for clues, instead the ancient knight comes to live again. But it was just Wickles, who wanted to get rid of Prof. Hiwhite and switch his fake arts with the real ones from the museum which were worth a lot! 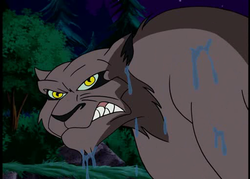 Scooby and the gang go to enter a dog competition where they meet Shaggy's old friend Meadow, who turns out to be the Cat Creature that attacks the game! She wanted to put all better dogs out of the competition so her dog could win, including the world next champions, the Secret Six as two dognappers "dognap" them! Scooby Doo is one of the people that need to get (or split) the fortune of a very rich man that has passed away years ago, but he says (on a recorded tape) that they must stay the whole night to get the fortune, that's why those who called everyone, pretend to be the Chained Phantoms just to scare off everyone and get the money, even at the end, they don't just get caught, but the money are to old to be used! Grandma Moonbeam is the commercial woman that claims she's made Moonbeam, but she hasn't. The true is that her original recipe was changed from the company, as she didn't want to sell unhealthy food, so going as the Cicada Creature, she scares off the employees so they'd quit their job! 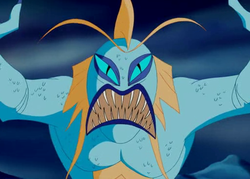 The Coral Creature is an undiscovered creature that lives in the Australian seas, deep into the waters and once, one of them, if there are more, came out on the beach bringing a terror to the people without any goal, without even hurting them, but they taught it would! 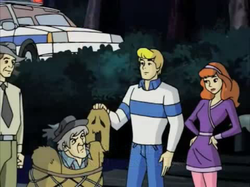 The gang visit Fred's uncle when a Creepy Keeper is "playing" with the lighthouse of the town as it turns out to be Verona, another mastermind after Velma, that pretends to be solving the mystery too. She would turn on the lighthouse when her shipments arrived and when others - she'd turned it off so her business would be on the top! 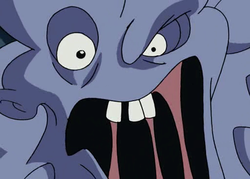 Old Crusty McPete is one of the suspects behind the mask of the Creepy Keeper, but it turns out that he's not the one behind that mask, but behind the remote control of the Skeleton Crew that would scare off everyone so he could haunt down a treasure according to an old legend! 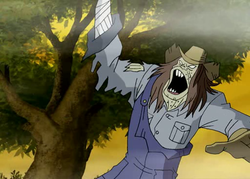 The gang go to see the Secret Six at their farm they bought after the dog competition and the Cat Creature, but this time the Demon Farmer has attacked according to the legend. Mr. Big's making new kind of popcorn never seen before and he's keeping them top secret, so Neville, a neighbor went behind the mask of the farmer just to steal them and make his popcorn better! The famous singer J.C. Chasez is the new boyfriend of Shaggy's former girlfriend, Rachel, who just can't stop talking about Shaggy, so J.C. is very jealous and gets a team of four Hollywood actors with special makeup and costumes to pretend as the Mystery, Inc capturing young teenagers at Lovers Lane for Valentine just to set them up and make Shaggy look bad in front of Rachel ! Senior Cepeda and a talented student Heather make up a story of a curse about stealing the bones of a Dinosaur, so its spirit returns haunting Costa Rica, so they could steal all of the gold in the minds, that hasn't been found by others! 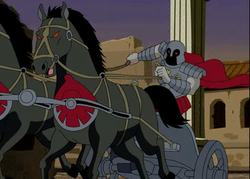 The Emperor appeared (only in one scene) in the ancient arena in Pompeii working with the Zombie Gladiator (against the gang, of course) so they could melt the golden items with the help of the volcano and smuggle them and sell them for big money! 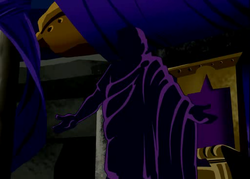 Vincent Wong is shooting a new movie re-making an old Hollywood hit, when a Faceless Phantom shows up on every set asking the cast to quit and the production to be shut down, but no one will give up, not even the director, even he's the one behind the mask, thinking that his movie won't be a huge hit, he was trying to shut it down in an illegal away! 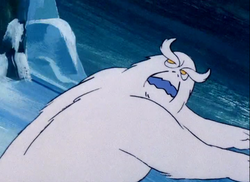 Dr. Armand Zola froze himself on Antarctica so he could unfreeze in the next century and share his plans for the future with the future as he makes up a story about a fish creature that is portrayed by Monroe Hopper, but the gang don't know anything about it so they spoil the plan! 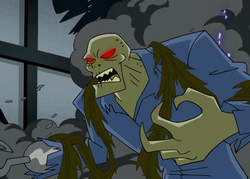 20 years ago, the mayor Jones pretended as the Freak of Crystal Cove to scare off the original Mystery Incorporated and make them leave town, but he also betrayed Professor Pericles. 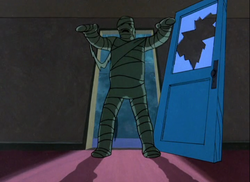 Now, he gets once again the mask on scaring off the new Mystery, Inc. trying to get the piece from Pericles back, at the end he's caught and Pericles gets the two pieces,as Fred finds out the mayor isn't his real father, but his real parents are Judy and Brad Chiles, two of the original members of Mystery, Inc! 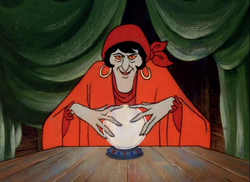 Mrs. Wyatt is the mother of a boy that has a crush on Velma since who knows when! 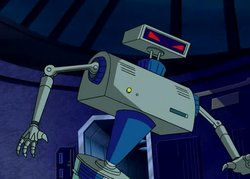 Now, using his technology, since he's into "nerd" stuff, she made a robot dog that looks like Scooby so she could destroy the gang that Velma's in by Scooby being captured by Crystal Cove police in the Animal Asylum! 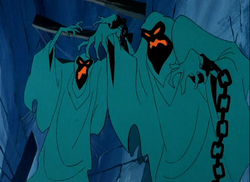 There they find professor Pericles that talked after so much and ran away! Galina is a beautiful figure skater that hid precious, but stolen, diamonds in the ice where a big match is going on and the gang go to. 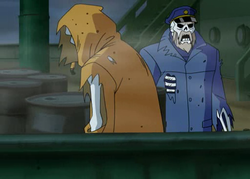 She first, when caught, pretends it was just to get the attention, but then, she hid the diamonds in her jacket with a mastermind plan, too bad for Scooby arriving on time! A Ghost Clown started haunting the circus in town, when the gang chose to investigate. It turned out it was just Harry the Hypnotist, who was fired "some time ago" because he was caught stealing. Now, he came back to make business bad for the circus seeking revenge! 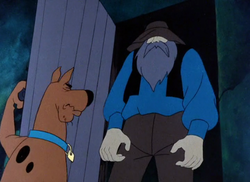 Mr. E sent a message to the Mystery, Inc to check Gatorsburg when they found the Gatorpeople, monsters walking around the town hunting down people and scaring them off. Behind the mask were the three Gradors as they wanted to scare off people so they could make fake Gator products and sell them for big money! 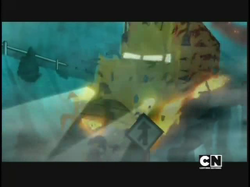 Rung Letterton goes off driving the Ghost Truck as the Ghost Trucker to smuggle crystal door lockets and one of them is a diamond. Rung is also suggested to Daphne by her parents, for a perfect match without them knowing she likes Fred, but she doesn't even like him at first or last! The gang went to a baseball game to see Luis Santiago breaking the home record of Cab Craig, when his ghost appears on each game! It turned out to be Bob Taylor (another former baseball player) who wanted the record of his good friend Cab Craig to be not broken! 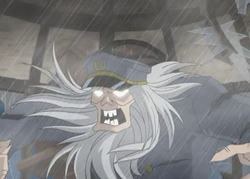 Captain Cutler makes up a story about him being drawn into the sea waters with his boat many years ago, and now his ghost has come back seeking revenge, but it's actually just him trying to scare off everyone while he and his wife steal and sell yachts for big money! When sheriff Bronson Stone's assistant, Deputy, can't get a raise up after failing every test, he goes disguised as the sheriff's hero, Dead Justice, taking care of crime in Crystal Cove and making the sheriff loose his job, unfortunately for him, the gang agrees to help Bronson Stone! When it was about time to split the family fortune, uncle Stuart suddenly got old, claiming it was some king of a magic "or something". It was actually the ghost of Elias Kingston, or at least that's what Stuart wanted everyone to believe it was, when it was just him with make up on, no matter old, or as the ghost, trying to scare the family and get the fortune all for himself! 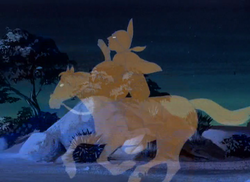 When the gang started meddling into the dognapping of other dogs of competition that might have beaten Mr. Masters' dog, he used a projector to project the Ghost of Geronimo just to scare them off and add to his "silly" Indian story! 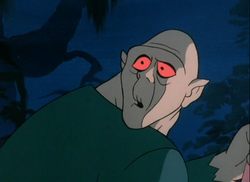 The gang go to Banning Junction for Halloween night at Velma's aunt and uncle and their daughter Marcy, Velma's cousin. 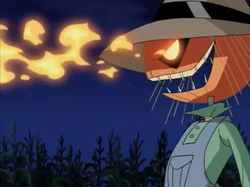 But at the same time someone is destroying the corn fields as some believe it's Hank Banning, who died 100 years ago and his curse of returning after 100 years and seeking revenge. 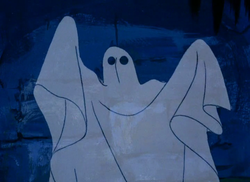 It turned out to be Velma's cousin, Marcy, who had her birthday on the same day as Halloween and wanted to out-stage Halloween night, just like her birthday was every year, so she used a projector to make the ghost of Hank Banning come to life! 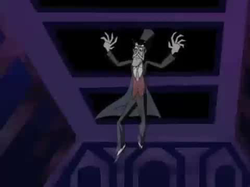 After the real Rufus dies in an accident (which later turns out to be fake) the ghost of his has come back to haunt the building! It turns out to be his assistant, Phyllida, knowing all his tricks she can be just like him earning big money, since he left her as he left the spotlight! Crawdad Mike works in a tour bus as the tour guider of all visitors when the ghosts of Jed and Caleb Leland show up in the middle of the graveyard at night! Just to get load of cash! 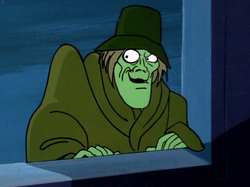 The ghost of Mr. Hyde strikes again when it robs a bank and gets into the Mystery Machine to hide, leading the gang to Dr. Jekyll's big house and putting another mystery in their hands! Even all clues lead to his maid, it turns out it was the doctor all the time trying to bring the fault to his maid! 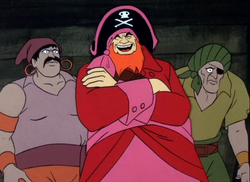 The gang go to a boat with suspicious happenings, actually it's the ghost of the pirate Redbeard that comes to haunt the boat with his two pirate soldiers. But it turns out to be just C.L. Magnus who wanted to hijack the boat and sell the priceless cargo! Fred and the gang enter a race where the racers would do anything to win, but also a giant worm and its worshipers are in "the game"! 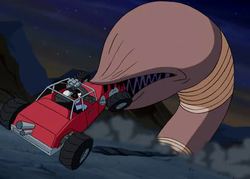 It turns out to be Gibby Norton, an old friend of Velma's, wanting to impress Velma by winning the race without a wish to hurt anybody! There is a big royal fair where a TV star Vance is attending as Lancelot in Scotland at the Glasburgh Castle when a big dragon named the Glassburo Dragon attacks that is actually just a robot controlled by Vance, the TV star, who wanted to find the treasure hidden somewhere around according to the map in the castle, but it all turns out to be fake as just another attraction of the fair! A Gnome is running around the Royal Knights Fair mask carnival as people masked as pirates get frozen by him. Behind the gnome mask is the husband of the rich and short big fortune owner that wants to frame her, because she is short and it would fit her (or maybe she sent someone for her) and because she hates pirates, just to get her fortune! Drill Sergeant Payne pretended as the Gold Monster so he could dig his way out of the Fort Knox so he could steal the formula of Sue Krose's Gold Ade. 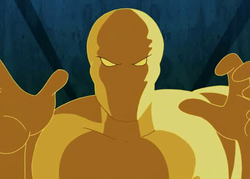 He used the Secret Six puppies to help him dig, but Scooby and the gang caught him on time! 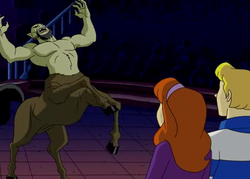 Lysander Demas is an explorer that wants to find the way to Atlantis, but his assistant, Susie wants to do it, so she pretends to be a Centaur as she wants to reveal the mystery of Atlantis and become famous! 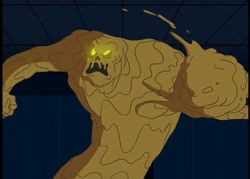 In a NASA Space Station, an alien comes out of an egg destroying the lab and scaring everyone. 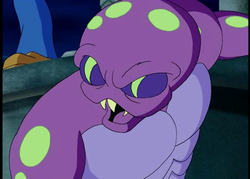 But this big creature turns out to be Scientist Janet Lawrence (and her monkey helping her, when the alien was small) with a goal of scaring everyone and closing this project, just because she couldn't finish her project! The gang attend a future fair in Omaha with its biggest attraction the high-tech house, but after a teenager disappears the house is closed down, as the owner says nothing is wrong, but after Daphne disappears too, the gang are trying to solve the mystery when they learn that all the house is looking for is attention! The haunted house with a witch in it and with chicken legs was brought to Crystal Cove from Russia by Curator Vronsky to smuggle old-tradition Russian Faberge eggs to the country. But the house also held the third piece of the Plantisharic disc! William's Higinson's family's gold was taken from his family (and hidden) years ago, so now, he, portending as the Headless Snowman is trying to find the gold and destroy Christmas for this small town (just like once, it was destroyed for him too). The bricks of the houses (of that town) turn to be actually the gold, as he (ashamed of what he did) gifts gold to everyone! 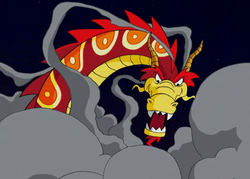 It's a big parade in Hong-Kong when a dragon attacks the "Ling Toy" toys store and steals a "candy" diamond ring. 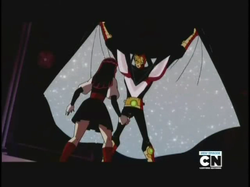 It turns out it was Wu and the other acrobats, friends of Mei Ling, the daughter of the owner of the stores. 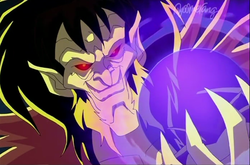 He wanted to steal the ring and they attacked everywhere Shaggy and Scooby were, buy Mei saved them! Jax and Max Miner are two brothers that have made great buisnesses running (both) an insurance companies. 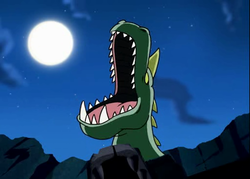 But because of jealousy and hate, now, Max go as the Green Humungonaut destroying every building and place that Jax insures with his company while Jax does the same to his brother too! Jax and Max Miner are two brothers that have made great buisnesses running (both) an insurance companies. 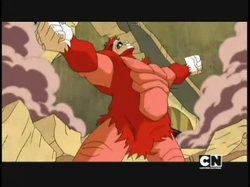 But because of jealousy and hate, now, Jax go as the Red Humungonaut destroying every building and place that Max insures with his company while Max does the same to his brother too! Simple Plan are on the snowy road to a big festival when an Invisible Madman attacks them, the gang help the band solve the mystery in a small town with barely any citizen. 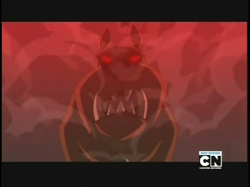 It turns out Zeke, Jack, Eve and Velma's friend Gibby Norton, for the second time, are the behind the mask wanting to destroy Simple Plan and replace them at the festival with their band, which turns out to be very very very bad! Henry and Honey are (how other people see it) a very happy couple that have went to Africa (as a Honeymoon) many times. But why Africa? 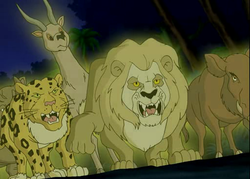 They are using signals to control the animals from the jungle and smuggle them until Mystery, Inc. go there and solve the mystery! Daphne and her friends go to Paris for fashion week as her cousin Danica LeBlake is the star of the show with the famous boyfriend Guy A'Vorton as she's awarded with the Model of the Year prize, but a Gargoyle from the Notre Dame cathedral has come to life. It turns out it was just Danica and her boyfriend who wanted to escape this "crazy life"! Walter Claphammer has stolen art paintings years ago from an art gallery that now has become a toy store, and he works there (but the stolen painting were never found). At night (maybe at day too) the toys seem to come alive and go around the (locked) store, but they turn out to be just a diversion so Walter can deal the real deal. He has hidden the paintings under the store (back then gallery) so now he's going to steal them! Bud Shelton is taking away people from the beach as a Man Crab to scare away people off the beach and destroy the business there, just because the owner of the beach, once toke all the credit for a diet water, Bud invented. 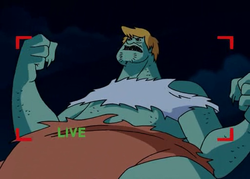 Daphne was taken by the Man Crab, which motivated Fred and the gang to solve the mystery even more, as Fred expresses him feelings for Daphne for the first time for real! 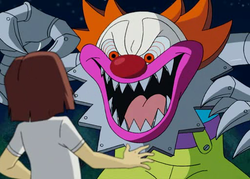 Shaggy and the gang attend the International Putt-Putt Championship where Shaggy is about to be the winner once again, but a big robot clown attacks all contestants and the mini golf court. 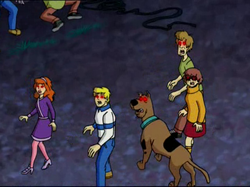 Good thing Scooby's brave and Velma's not. 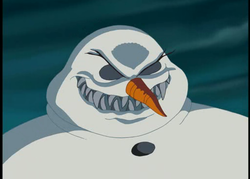 It turns out it was the mayor Smith Snipper who wanted to revenge the mini golf for ruining his son's life! 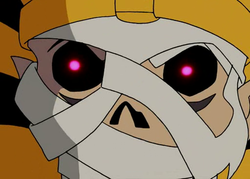 When the gang visited a museum of national history, an Egyptian mummy, the mummy of Ankha came to live searching for a golden coin that Shaggy and the gang had! At the end, it turned out that it was Dr. Najib, who faked himself as being stoned, just like Scooby Doo was, who wanted the coin to unlock an ancient artifact that held a very valuable treasure! 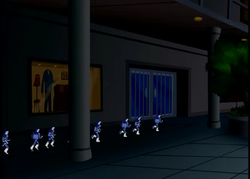 Velma and the gang attend a video games convention when they're attacked by Osomons, tiny, but many, blue creatures, that are really dangerous. 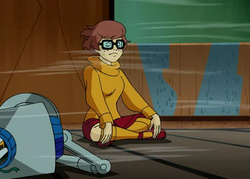 It turns out that Velma's only part of a virtual world where there is no one behind the Osomons, but just professor Ostwald testing Velma's intelligence! 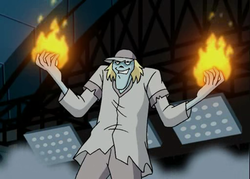 Daniel Frezette, or better known for his stage name Fantzee Pants had the end of his career when the Hex Girls, a girl rock band, appeared on stage and he got his record label off. 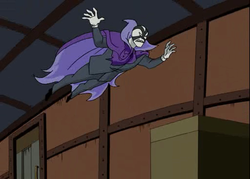 Now, going off as the Phantom, he's trying to scare the girls, but Daphne blends in and takes her away, Fred understands what he should do about his feelings thanks to the Phantom too! 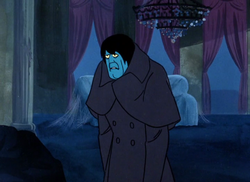 Goal: Kill the original Mystery, Inc.
20 years before the original Mystery Incorporated entered his mansion searching for his piece off the planispharic disk. 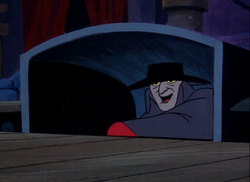 Now, the new Mystery Incorporated entered his mansion bellow Darrow College to unveil the truth about the disappearance of the Darrow family, but he confuses them for the original Mystery, Inc. so he uses his already set traps to kill them, at the end he dies letting the gang take his piece! Susan is the mother of the former music band named The Mystery Kids, who has fallen apart and now, they're preparing to come back (or at least, her mother does, since, they don't want that anymore)! So their mother, using a lap top is controlling the van (once owned by the Mystery Kids, now the gang) to get some attention and publicity! Mr. Pietro is a master when it comes to puppet shows! He even pretended for a while himself as a life-sized puppet. 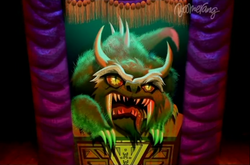 But that didn't stop the gang to find out his plan, no matter a puppet or a Puppeteer, he wanted to scare off everyone from the theater for his counterfeiting operation! The White Wizard is after the last ring that will open the Jade Dragon's Heart, but that's why the Red Wizard is here to protect Mai Lee who has the fifth ring and stop the White Wizard! It turns out that Mr. Chen was behind the mask all the time, fortunately for the gang and unfortunately for Mr. Wang! The robot Drone served, and also was controlled by, the Haunted House, which was an attraction in the future fair in Omaha and was seeking for attention, but when everyone ignored it, it destroyed itself! 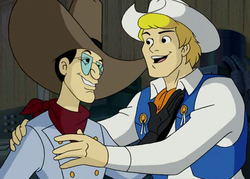 Terry and Chris are the founders and owners of a famous Luna Park that Shaggy and Scooby win on a competition to go to, for giving a great idea! Terry, the one that creates Chrises ideas, is behind the mask of the Roller Ghoster who sabotages the park, framing Chris, the one who never let her sister design a thing! 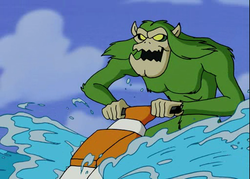 There is a big tournament in San Francisca in skating called The Grind Games when a monster with seaweed all over named The San Franpsycho attacks all skaters, but one! It turns out the youngest competitor, Ryan Sheckler, is an idol of the monster as Rutie Banez, one of the judges, is revealed behind the mask trying to help her idol win the tournament! 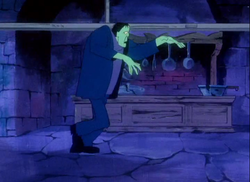 The Scooby Snacks Factory has been broken into few times lately by spies looking for the secret recipe for Scooby Snacks, but a monster made out of Scooby Snacks also attacks the factory, just before the owner Ernest Bailey closes it down, the gang solve the mystery and catch the Scooby Snack Monster as it turns out to be Ernest's daughter, Penelope saying she pretended to be the monster just so scare off everyone who tried to steal the recipe! 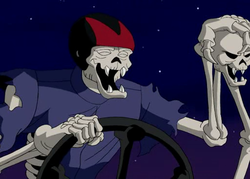 The gang are ready to enter a racing tournament when a Skeleton Racer is destroying the cars and spoiling each race, so the gang have another case on their hands. 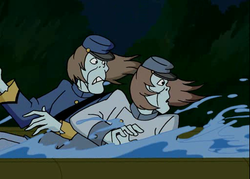 It's little Cindy and Jimmy who controlled the skeleton from distance while pretending that they're there for the race with their dad, it was actually to revenge because they were turned back to enter the racer because of their age! Just when a military base is about to be built on the land of few farmers, the Skeleton Space Creature, believed to be from outer space, comes leaving tracks and making noises at night. But just when the farmers are ready to take off and sell their land cheap, the gang solve the mystery, which turns out to be Henry Bascombe, who wanted to scare off the neighbors, make them leave and sell their land for little money! 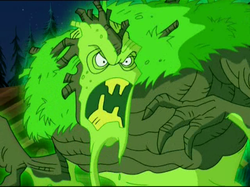 Professor Emmanuel is a scientist in Crystal Cove as he used the disguise of the Slime Monster to scare away people from the caves bellow the town so he could steal from a bank right above them. He didn't got away with it, even after making himself a victim of the monster, because the gang, after some time got their mystery on their hands. Making the gang go under the caves, they uncovered the locket of Judy and Brad, as it led them to the big mystery and curse of Crystal Cove! Avalenche is a former snowboarder that after such a long time, wants to come back in the snowboarding world. 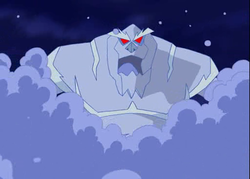 Unfortunately for him, there are other younger snowboarders that are, maybe, even better than him, so the only way to stop them is to get them out of this Snowboarding Competition on Tibet and destroy their careers as he returns, so he uses a robot controlled by him from a shack to do it, until Mystery Inc come! A scary snow ghost attacks the small and quiet village when the gang go there for a little winter vacation that turns to another mystery! 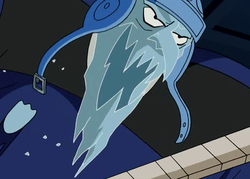 At the end, the snow ghost turns out to be a fake one because it was Mr. Greenway, the owner of the motel and one of his few customers, who smuggled all the stolen diamonds and gold through woods in the lake! 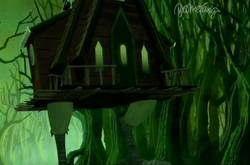 Right before they leave town to go to Velma's aunt and uncle, the gang solve the mystery of the Swam Creature, which turns out to be Oldzie, who hid the money in the swamp and now came back to get them with scaring everyone off, the mystery is very similar to Which Witch Is A Witch from Scooby-Doo Where Are and the solving of this mystery was only around two minutes at the start of A Scooby-Doo Halloween as an intro! 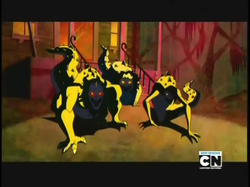 When Scooby and the gang visit an old village near a swamp, a Swamp Witch and her Zombie friend are terrorizing the place with her wicked powers, which turn out to be fakes when it's just Zeb Perkins and Peke behind the masks as they wanted to find a truck with a lot of stolen money that was sank in the mud of the swamp a long time ago and they needed the costumes to scare off someone like the gang! There is another wrestling tournament where Malachi Cruch is entering once again as one of the best ever to exist, but the Titanic Twist attacks scaring everyone off. Malachi's two kids, Kurt and Connie, behind the mask with the plan to scare their dad because they worry about him and he doesn't spend much time with them! Shaggy and Scooby are spending their weekends without the rest of the gang in the peaceful and quiet Camp Kichihaha when the Toxic Monster comes to haunt it, the legend tells it came down from ground where there was toxic, but the reality says it's just Grey who didn't want the camp to be turned into a resort so she had to try in different ways to stop it! 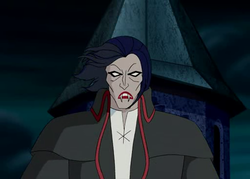 The twin brothers Steve and stu Fortesque want to own the old Transolvanian castle once again, but the Hex Girls are shooting their new music video there, so the twins as one Vampire have to scare the cast and the Mystery Inc. guys! Sheila Antoonian is a close friend of Daphne's mom, she's jealous of Daphne's mother beauty no matter what her age is, so she wants the same, since she can't get it, she finds an article in a magazine that holds a recipe to make an eternal youth drink. Unfortunately she has to steal ingredients to make it, but the last one is a purple diamond, that she is caught for while stealing. Meanwhile a mysterious man working for Mr. E helps the gang solve the mystery once again! 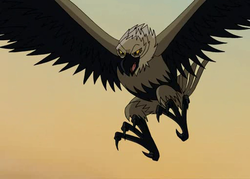 Col. Henry Thornwald pretends as the legendary Wakumi Bird so he could scare off everyone that climbs the mountain where a meteor is being researched by the US government which is a top secret, he also pretends as a Shaman so he could make everyone believe his story about the fake legend! 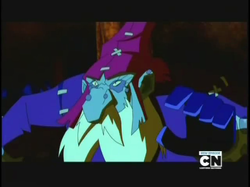 Mr. Wang goes to Crystal Cove to get the final ring that will open the Jade Dragon's Heart and give him the red diamond, but the gang is here to stop him, and so is the Red Wizard! Hugo is a bodyguard that at night goes covered as the Zombie Gladiator and causes Volcano eruptions just to melt these golden items and sell them for big money together with the captian Guzman!